Most graphic design studios comprise a collection of people with obsessions – often those obsessions revolve around books, posters, printed ephemera of all kinds. 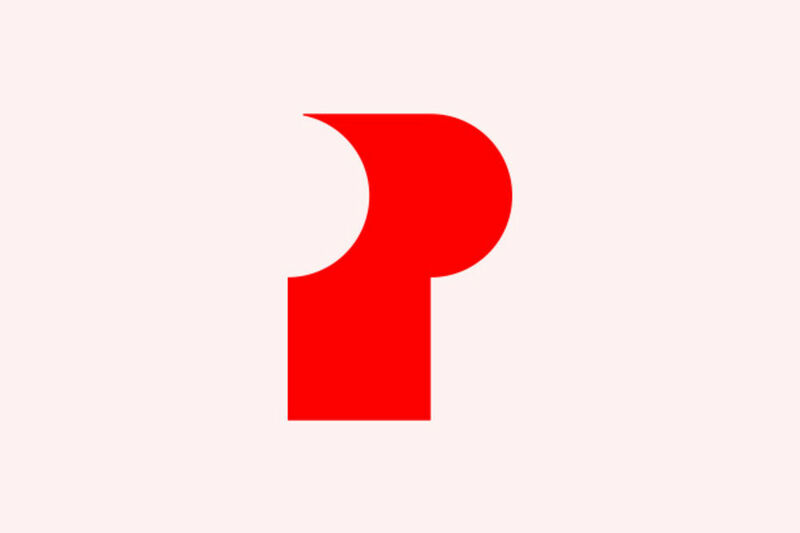 At London branding and design consultancy dn&co, which has roots working with the architecture industry, collective interests have coalesced into a publishing imprint called Place Press. 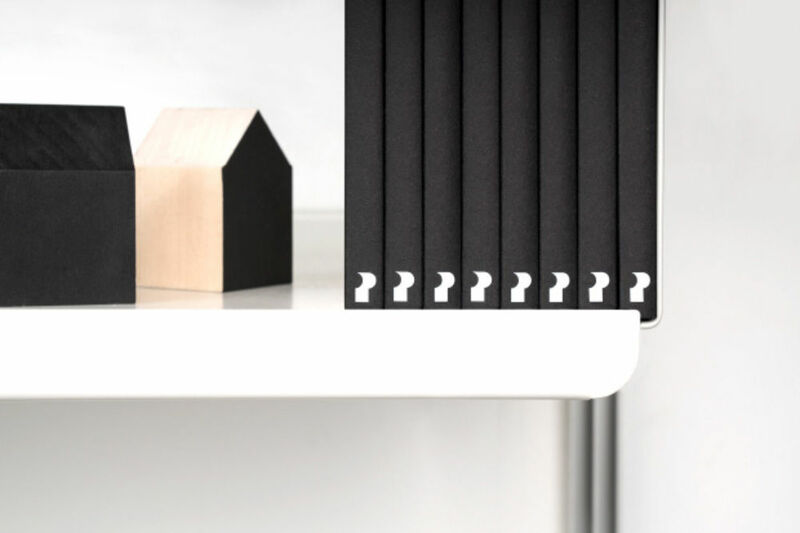 Its first title sets the agenda, being a documentation of a little known branding and place-making project by a celebrated designer. It sounds like the stuff of designers' dreams, but even when the weather is in your favour, publishing is not a breeze. So we wanted to find out how dn&co did it. Creative Director patrick Eley and Publishing Director Joy Nazzari obliged us with some answers. 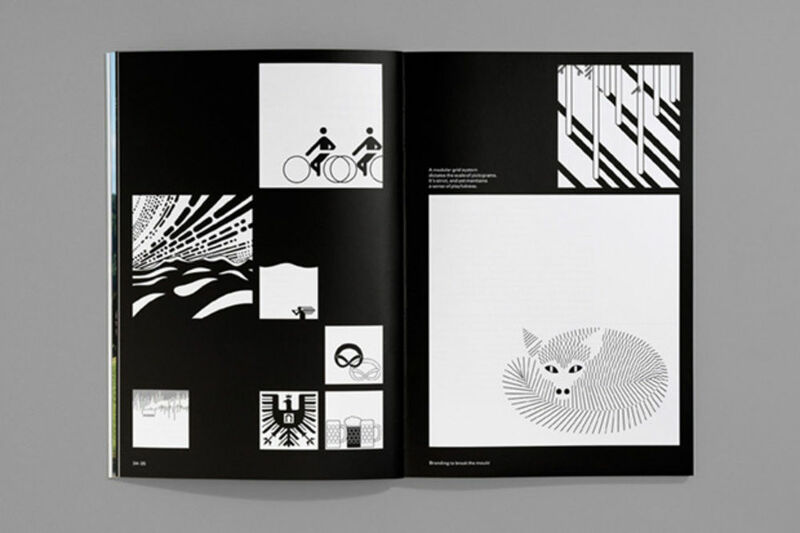 How and why did the subject of Otl Aicher's Isny kick off Place Press? 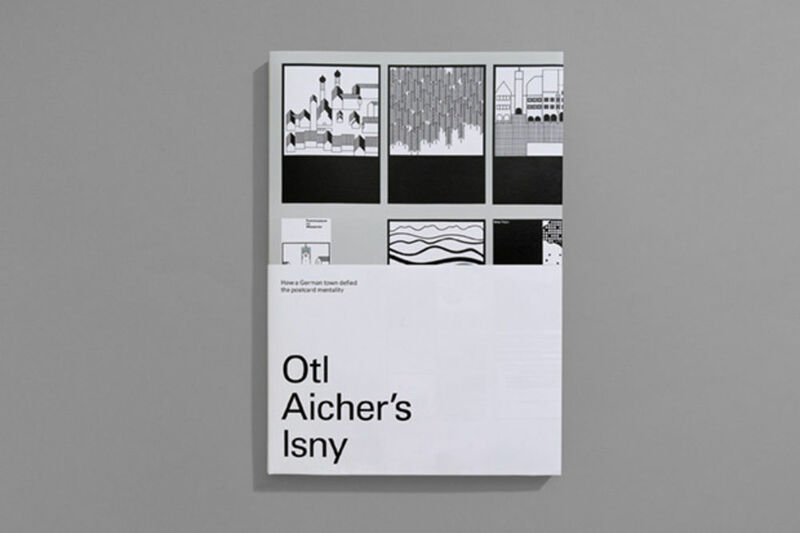 Patrick Eley: Otl Aicher has long been a source of inspiration — his work, particularly that for the Munich 72 Olympics is a constant source of reference — but his work for Isny is relatively little known. We’ve spent our fair share of time hunting through eBay — a few of us have Isny posters on the walls at home and a couple of us also have the book Isny itself published in 1981, but we’ve always wanted to know more. So we decided to gather together as many posters as we could and mount an exhibition in our gallery, Ground Floor Space. 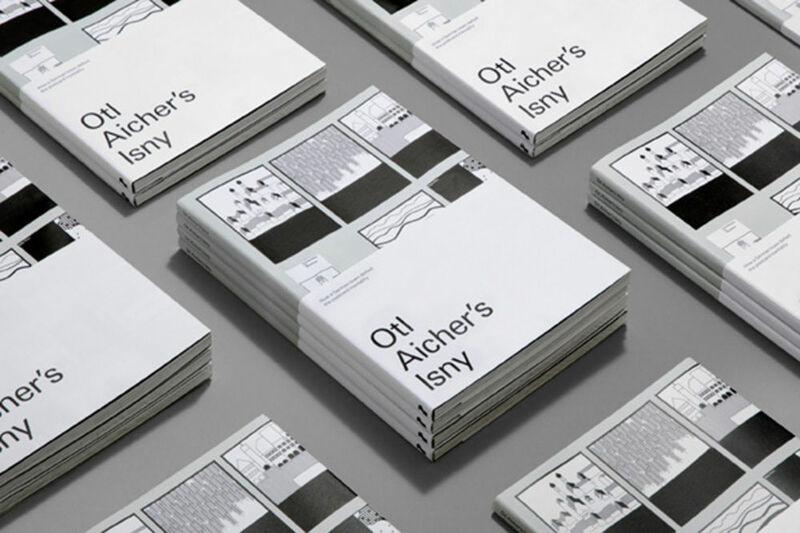 Aicher’s work for Isny sits at the intersection of design, culture and place — the area where we are most interested to operate as a studio. It’s an incredibly pure body of graphic design and Aicher created a surprisingly enduring brand. We had originally thought about producing a small guide to accompany the exhibition, but realised there was an opportunity to create something bigger that told the story in more detail. And along the way we felt that to do this properly we should establish an independent publishing company as the Isny story was only one of many that we wanted to investigate. Book publishing feels like a natural application of a design studio's skills but were there any surprises or unexpected challenges? PE: There are always challenges with something new and having yourself as your own client never makes for an easy job. We’re tirelessly self-critical. 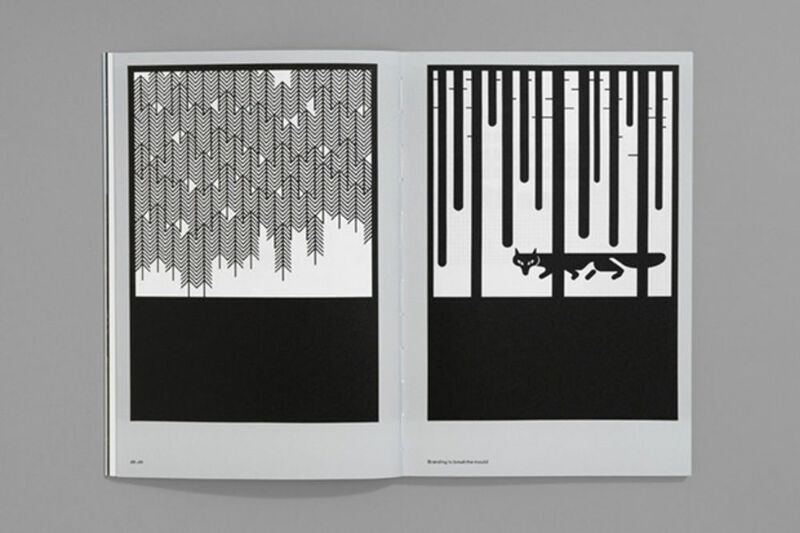 We wanted to create something that was respectful of Aicher’s legacy, that wasn’t showy or too demonstrative, but that also reflected our own opinions. But it would be easy to do something just about the design and forget the narrative. The studio puts a huge emphasis on the value of words and the power of writing, so it was natural that we would also want to tell the story ourselves and make this the central component. And of course it helped that Elli, who wrote the book, also spoke fluent German, without which we would never have made it past the first page... There were a few bumps along the road to production, mainly around getting the book-jacket to work satisfactorily, which we knew would be tricky from the outset. 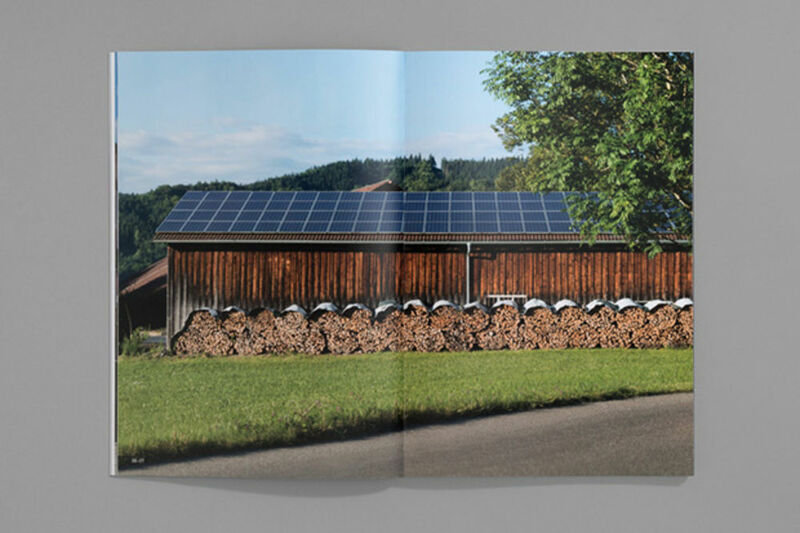 And a certain amount of work had to be done to enable printing Aicher’s work at large scale, primarily because almost nothing is digitised at Isny. 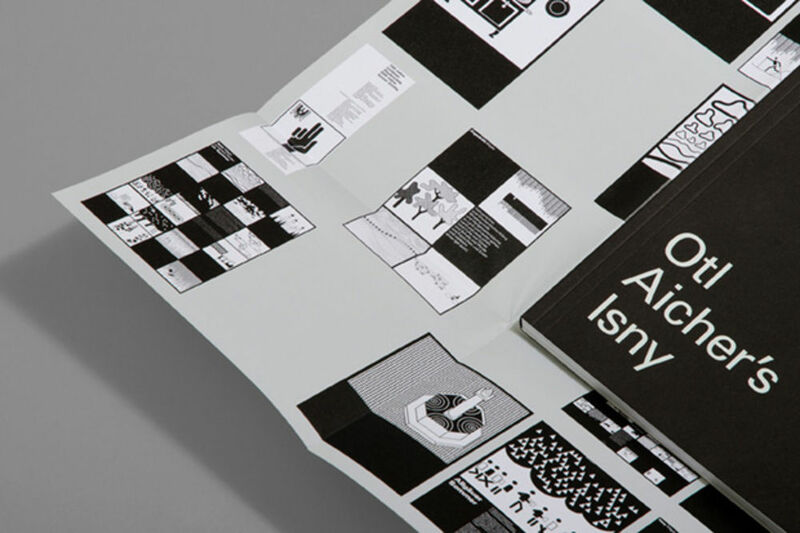 In an era where digital is the expected norm, Isny remains with a foot in the past — their brand guidelines are a bursting-at-the-seams lever-arch file and a proper working document; there are no pictograms (an no intention to create them) for more recent sports such as snowboarding and paragliding; and much of the work itself is held in files at the Ulm Archive — a treasure trove of modernist utopian proportions. The mission and thematic intent of Place Press is clear in its name – how are niches important to contemporary independent publishing? Joy Nazzari: The thematic intent of Place Press is precise — an imprint looking specifically at places and the interesting people who helped shape them. The audience for this niche is one we know well, and we are able to build on our knowledge and database. Being a contemporary independent publisher allows us to target a specific and therefore smaller demographic that bigger publishers wouldn’t touch. The niche gives us a focus, not just a one-off as a side piece within the agency, but a commitment to topics in the industry where we have knowledge. With a niche, it’s easier to build a database of people interested in the specific topic, and we hope to leverage that for subsequent books. We’re hoping to tap into the tribe of architects, designers and urbanists who share our passion. How do the research and creative processes of book-making and publishing feed back into the design studio's practice? PE: It teaches respect, and also a degree of humility. As a studio we’re always keen to explore the editorial potential in a project, but making books really helps you to understand that design is serving a purpose. In this case it was to deliver a story about someone else’s design; this wasn’t a book about us, even though we were telling the story. And at its simplest, making these sorts of books opens our eyes and stops us being too parochial. Investigating work from around the world means that we’re better educated and better prepared. It broadens our points of reference and ensures we can stay relevant. What can we look out for next under the Place Press imprint? JN: We have three more books in the works — the first is about Roberto Burle Marx, the Brazilian landscape designer and artist who was responsible for designing many kilometres of Rio de Janeiro’s pavements and public parks. We believe he directly influenced Brazilian identity on a world-scale. A team of four including two photographers with a drone went on a week long research trip to Rio in November and we’re halfway through writing and designing the book now. After that we’re looking to explore places with meaning and how to create them.